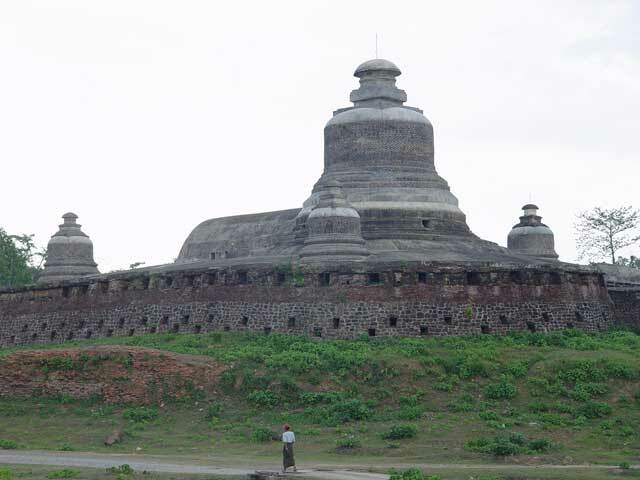 Htoakkanthein pagoda is located on the hillock which is 30 feet high and 300 feet away from the western part of Chitthaung pagoda. The donors of the pagoda are king Min Pha Laung and his chief queen Shin Lat. The pagoda was built in AD 1571. While King Min Pha Laung was governing the country, it was in chaos, therefore, his friends told him, “Build the pagoda called Htoakkan if the country is in chaos, and prop it up if the house is old.” Therefore, the pagoda was named Htoakkanthein. The pagoda is 100 feet wide from the south to the north and 137 feet long from the east to the west and it stands on the hillock which is 20 feet high. 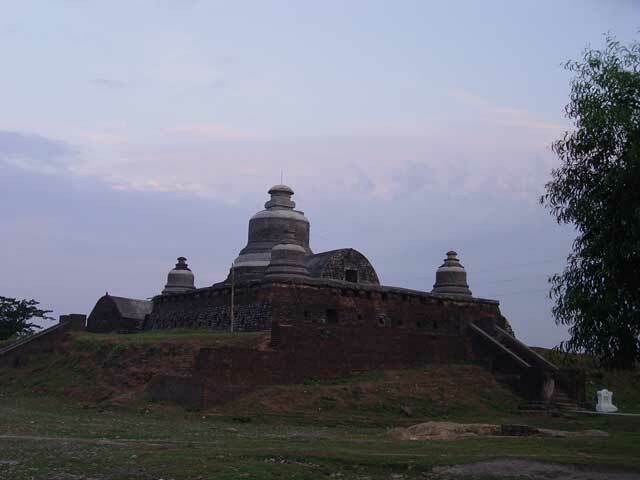 The structure of the pagoda is that there is a great pagoda in the form of the stupa at the center of the substructure (base monastery) and there are four small stupas in the four corners. Dhadugappa is placed over the inverted alms bowl at the central pagoda and the surrounding pagodas. The entrance is in the south in the substructure (base monastery) and it goes into the cave tunnel in a clockwise direction. There are 146 niches around the cave tunnel and the stone Buddha images are in those niches. The figures of man and woman with beautiful styles of clothing, were sculpted on both sides of niches. The designs of clothing of Mraukoo period in the 16th century, were carved in detail from the poor to the general. Besides, sixty four different coiffures of Mraukoo period, were also sculpted. There is an isolated cave which can be accessed from the two doors at the half passage of the cave tunnel in the west. That cave was a sabbath chamber of the king. Entering the cave tunnel from its original path reaches the entrance in which the figures of door keeper and guard were sculpted. If one enters that door, one will see the religious hall on the right side in which the king’s family listened to the doctrine of Buddha. If one goes on, one will see the wide and high cave. There is an oval-arch door at the end of the passage of the cave. Entering the oval-arch door, reaches the eastern room of the perfumed chamber. In the previous time, the monks congregated for Pawaraner in that room. Five hundred monks read the excerpts of three baskets of Pitakas (Buddhist scripture) by heart by sitting around the cave tunnel. There is the edge of the flat stone at the wall of the room in front of the perfumed chamber. The corner of the flat stone was used to light the open-oil lamps. The perfumed chamber is at the center of the pagoda and it is also under the stupa. There are holes around the room for ventilation. There is a big hole in the east to allow the sunlight into the central cave tunnel. Due to that big hole, the perfumed chamber always gets sunlight. In the past, the Buddha image made of nine jewels, was placed in that chamber. 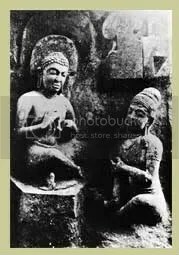 But, nowadays, the stone Buddha image taken from the forest, was substituted for worship in the place of the Buddha image which was taken away by the British force.